And so, we now circle back to the pleasure of listening to this wonderful story, like our parents or grandparents once listened to the radio. 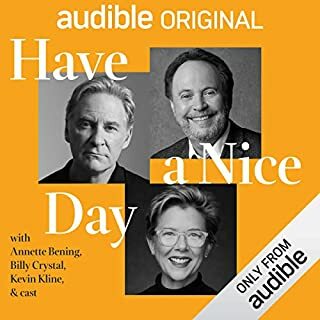 My imagination is now richer for having heard “Have a Nice Day”. Thank you to the many who worked on the show and of course to Mr. Crystal, whose heart came shining through in so many ways. Congratulations! And more please! 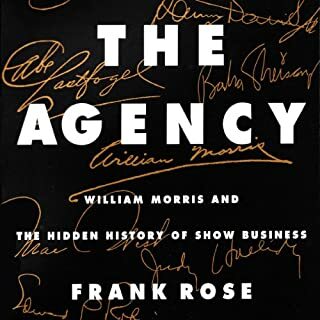 What did you like best about The Agency: William Morris and the Hidden History of Show Business? What did you like least? What I liked the best was the overview of the history of the company and the tiny bits of interesting stories about certain artists. What I disliked was - the details were overwhelming (too many names to keep up with), the length of the story, the inconsequential side stories that I expected would be picked up later but simply fell off the cliff and the narrator's voice was much too monotone for this kind of in-depth story. What could Frank Rose have done to make this a more enjoyable book for you? Finished any of the 'side stories', shortened the story by eliminating the details that didn't seem to fit into the story of the company (we learned more about CAA than I expected) and because the company's history is almost a hundred years long, I wouldn't have told the story in such a linear way...made it boring. The narrator's voice was rather monotone and because of the length of the story, and the linear way in which it was written, yes, the narration matched the pace of the story...unfortunately. Was The Agency: William Morris and the Hidden History of Show Business worth the listening time? Nope - not almost 22 hours. A few hours with the highlights - probably. Appreciated the facts and some stories but too long and overwhelming with details.